The Courier is a literary spy thriller, perfect for John Le Carré fans, and a very welcome addition to the Nordic Noir genre. 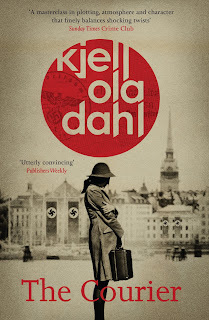 The book is steeped in history - Norway in World War 2 and the plight of its Jewish people during the Holocaust - with roots in espionage and wartime resistance. Its female protagonist, Ester, is strong and courageous, highlighting the importance of women during the war and how they risked their lives. 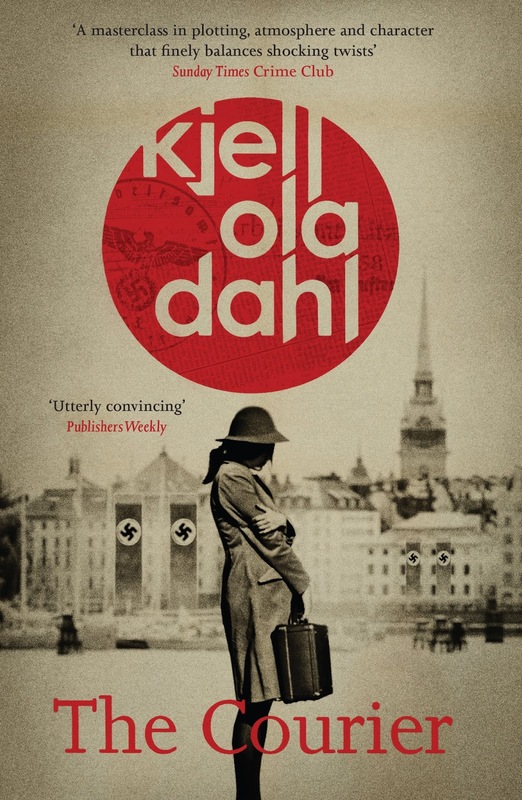 I was fascinated by the social and political background, knowing very little about the Nazi invasion of Norway during World War 2. I found myself Googling snippets of information as I read the book - and now I've finished I want to know more! The book features a tightly threaded plot and convincing characterisation, so it didn't take long to worm its way under my skin. I was soon caught up in the lives of Ester, Gerhard, Sverre, Åsa and Turid. There's a sense of unease throughout the book, as Ester seeks answers to how her friend Åsa died. I was holding my breath in several gripping moments as she, Sverre and Gerhard played their cat-and-mouse games. I had no idea who to trust and who to believe, right until the final scenes. The narrative switches seamlessly between Oslo and Stockholm in 1942 and Oslo in 1967 and 2015. Each chapter is clearly marked with the year and location so the multiple timelines were very easy to follow. The writing is excellent (translated by Don Bartlett) - sparse where it needs to be, to move the story along at a fast pace, but highly descriptive elsewhere, with acute observations that paint a vivid picture of people and places. So much tension bubbles away under the surface. But this is far more than just a thriller and a murder mystery. It's also a heartbreaking read, as Ester learns more about what happened to her family and her childhood friend. The ending brought tears to my eyes but also a strong sense of resolution. WOW!! I really need to read this asap, it sounds AMAZING!